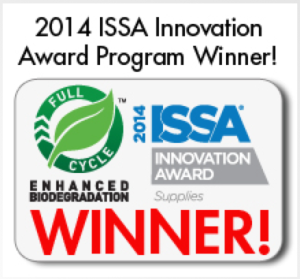 Americo’s Full Cycle Floor Pads Win a Distributor Choice Award! 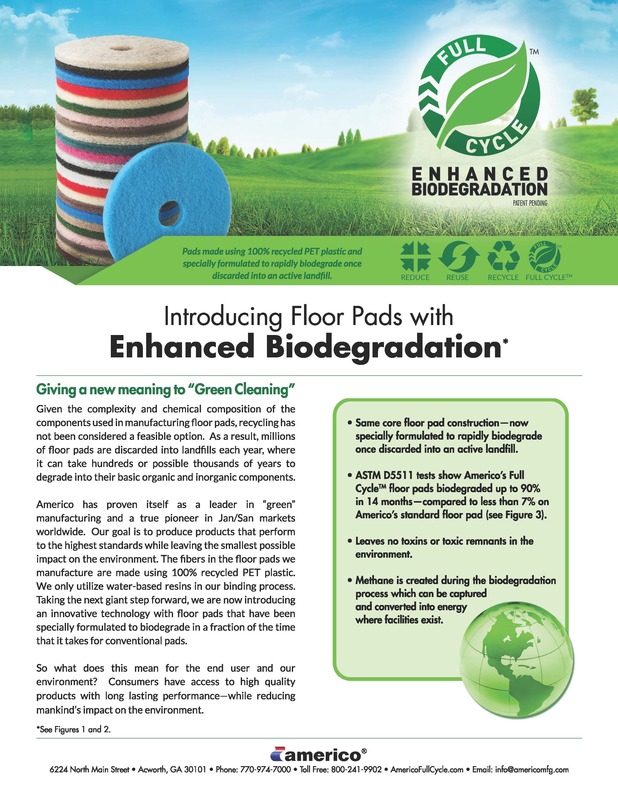 Americo has been manufacturing floor pads with 100% recycled fibers for well over a decade. 100% of the synthetic fiber used to manufacture their floor and hand pads come from recycled PET. The Full Cycle Floor Pads have taken this a step further and are specifically formulated to biodegrade faster than conventional pads. Check out the Americo Literature Page for information on all of their products! Check out the Americo Website Here for more information! Next story Celebrate 2015 International Clean Hands Week! Previous story Finish Strong With These Q3 Rebates!